The Town of Chevy Chase gave the U.S. a preview in miniature of what a Donald Trump presidency might look like as Coteva CEO and Mayor Al Lang lost control of last week’s council meeting, which “devolved into chaos” as reported in Bethesda Now. The press did a fine job of covering the raucous and divisive meeting but I thought I’d add to the information publicly available. Bickerman’s behavior captured attention, as he interrupted, talked at length, and took repeated umbrage. At one point, he spoke sharply to Lang, telling him something along the lines of “take your hands off of me” when Lang touched his arm gently, likely to encourage him to calm down. Readers may find it hard to believe that Bickerman makes his living as a mediator. He currently teaches “negotiation and mediation” at Cornell University and has taught at Georgetown University Legal Center in the past. Will Lang Cave to Bickerman, Cecere and Albert? This issue of registering write-in candidates in advance has become a burning issue because of the success of a stealth write-in candidate. Supporters of now Councilmember Fred Cecere kept his write-in campaign a secret in order to dupe other voters into thinking that the two incumbents were unopposed and they needn’t bother to vote. Councilmembers Lang and Bickerman are aligned with Cecere. Word on the street is that Bickerman also threatened Lang as he left, saying that Lang (who had voted in favor of the write-in candidate registration requirement) had better “fix this“ (i.e. change his vote) or Bickerman would resign from the Council. So is self-styled decisive CEO Lang going to cave to Bickerman, Cecere and Albert? Or stand by his far from radical decision that town residents have a right to know who is running for office at least one week before the election? It’s hard to know as Mr. Transparency had the Council vote on the Town joining the Chamber of Commerce (!) without any advance notice to the Council or to residents. Several residents have already expressed discomfort with the process and the decision on the Town’s unofficial listserv. As part of his criticism at the meeting of the Joint Election and Ethics Boards report, Bickerman argued that the “every campaign is secret,” so it is not a good idea to take steps to ensure that all residents have the opportunity to know who is running for office. Um, no. Candidates should not be able to keep their identity a secret in order to dupe their neighbors. Bickerman also continued to deny any fiduciary duty to correct the public information that was provided by the Town as regards to the candidates. However, he said unusually little when Barry Hager, a member of the Ethics Committee, raised the issue of whether he thought he would need to correct similarly inaccurate financial documents issued by the Town. 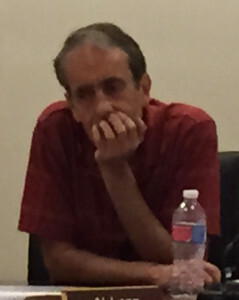 After the election, Bickerman told neighbors that his participation in the write-in campaign was less than people thought but declined to detail his participation. The twitter account of the meeting reports, that Bickerman now says he “was not that involved.” His ardor in fighting the adoption of a one-week write-in notification (same as the State) and continued secrecy might inspire disbelief in his effort to minimize further his participation. And if he was not involved in a meaningful way, wouldn’t he have just said what he did in the first place? neither Mr. Lang nor Mr. Bickerman took actions to correct the record and inform Town voters in general that the election was in fact contested. Residents of the Town have contended in hearings before the Joint Committee that Town Council members have at least a fiduciary, if not a legal, responsibility to accurately inform residents about facts pertinent to the government of the Town. Mr. Bickerman has at times denied such a fiduciary responsibility. Yet it would seem unlikely that he or any Council member would argue that he/she is at liberty to allow a materially misleading statement made to the public at large about the finances of the Town to remain unchallenged or uncorrected on the public record if the Council member knew the information to be untrue. Surely the duty to correct misleading statements relating to elections that determine the governance of the Town is as great as the duty to correct misstatements about the Town’s finances. As for a specific legal basis for arguing that a Council member has a fiduciary responsibility to the Town public, Article 6 of the Maryland Constitution’s Declaration of Rights states that “all persons invested with the Legislative or Executive powers of Government are the Trustees of the Public, and, as such, accountable for their conduct.” Since the Town of Chevy Chase is chartered under the Constitution and laws of Maryland, that applies to Town councilmembers. Indeed, the Oath of Office for Council members says, in part, “I will be faithful and bear true allegiance to the State of Maryland, and support the Constitution and Laws thereof…” And the concept of being a “Trustee” of the “Public” is at its heart a statement that government officials have a fiduciary responsibility with regard to the public. Another aspect of the stealth campaign that related to the nature of Town politics is why, given the range of complaints and criticisms of the incumbent Town government, the supporters of the stealth campaign did not go to the electorate openly and seek a change in the composition of the Council? A traditional view would hold that this is what elections are meant to be about—a robust exchange of views and visions leading to a democratic choice that shows the preferences of a majority of the electorate. Failing to take that open route and to participate in the traditional public campaign process has cast doubt on the motivations of those involved in the stealth campaign by many Town voters who feel as if they were misled about the contested nature of the election, and has obscured, in the eyes of many Town citizens, whatever electoral mandate the victors sought or believe themselves to have won. And our neighboring communities, such as those in the coalitions our Town Council earlier played a key role in organizing to constrain overdevelopment in Bethesda, need to know that they were dealing with trustworthy partners. It is important to consider whether the stealth write-in campaign may suggest to Town citizens that they should be wary and skeptical of their neighbors, or whether it may have suggested to our neighboring communities in Montgomery County and the Greater Washington region. If Mayor Lang and Vice Mayor Bickerman continue to refuse to respond to the June 5 letter of inquiry, the Joint Committee requests that the Town Council assess the legal basis for the refusal and consider whether responses should be compelled through legal process or other means. Also, Mayor Lang and Vice Mayor Bickerman should be reminded of the responsibility to preserve all records—including electronic communications on office and personal devices and accounts—that may be relevant to further inquiry or legal action. UPDATE: The Town has now posted the report on the Town website in the wake of its appearance on Bethesda Beat. Town of Chevy Chase Mayor Al Lang and Vice Mayor John Bickerman continue to face questions regarding their roles in orchestrating the stealth write-in campaign for Fred Cecere. The Town’s Election Board and Ethics Commission were charged by the Council to make recommendations about future elections based on this past election. Indeed, Bickerman actually made that motion (see why that is important below). As part of their research, the Board and Commission asked all councilmembers about when they learned of the stealth campaign and what role they had in it. Three councilmembers immediately responded to the request. Lang has refused to answer and has been silent on the issue. Bickerman has refused to answer the question publicly (he says he will privately) but has been far from silent on the issue. According to Bickerman, it is none of anyone’s business and he denies that he had any duty to let his neighbors know about the orchestrated campaign even though the Town had sent out an official communication about who was running. That all persons invested with the Legislative or Executive powers of Government are the Trustees of the Public, and, as such, accountable for their conduct. One must wonder why, even if he feels he has no fiduciary responsibility, he won’t just answer the question about his involvement posed to him by the Board and the Commission. If he believes his actions in the campaign were “ethical” and “proper” rather than shameful, why not disclose fully instead of making technical (and plainly incorrect) legal arguments? It may be that democracy, while not always pretty, involves a choice between public candidates. And, even he cannot make a case that a sub rosa campaign for a stealth candidate in which only the “right” people were let in on the secret in order to tamp down turnout by others is the right way to bring about change. Perhaps most incredibly, Bickerman is now defending the seemingly overnight replacement of Election Board Member Anthula Gross by Robert Charrow–done without a public call as was the past Council’s practice. Charrow, by the way, likely gave legal advice to the stealth campaign about the role of the Election Board. Yes, this is messy. Bickerman neglected to mention in an email to residents defending Charrow’s appointment that Gross resigned only because Lang, an interested party, conveyed that she could well be sued personally for her actions on the Board and that the Town would not defend her acts as a public official. Unfortunately, not the last effort to bully the Election Board, as Bickerman’s repeated jabs at them have shown. Finally, Bickerman has made another call for a “joint effort to work together.” I assume he means by that that the “wrong” people should just sit back and let the “right” people, and probably the minority of residents, move their agenda forward without making a fuss. If he thinks that is going to happen, he has underestimated the outrage that his and others actions have engendered in the community. It is going to be a long year. The Village of Martin’s Additions, an independent municipality in Chevy Chase, held elections on May 14th for three of the five seats on the Town Council. All are elected at-large within the small town. Two incumbents, John Fleming and Bill Lebovich, sought reelection to second terms. They faced four challengers: Richard Krajeck, Katya Hill, Mark Weiner, and Katie Filipczyk Howard. The major issue appeared to be the management of the Village by longtime Manager Jean Sperling, a resident of the Village. Hill and Krajeck were supported by the group that wanted change. Krajeck served previously for seven years on the Council, including as Chairman. Hill touted her work as a Project Manager at Fannie Mae. The percentages are calculated out of the 393 valid ballots. There were also 11 rejected ballots for a total of 404 voters. Unlike in the nearby Town of Chevy Chase, people who wanted new blood in the Martin’s Additions had the novel idea of running candidates openly instead of an unethical stealth campaign backed by two sitting members, John Bickerman and Al Lang, of the Council. 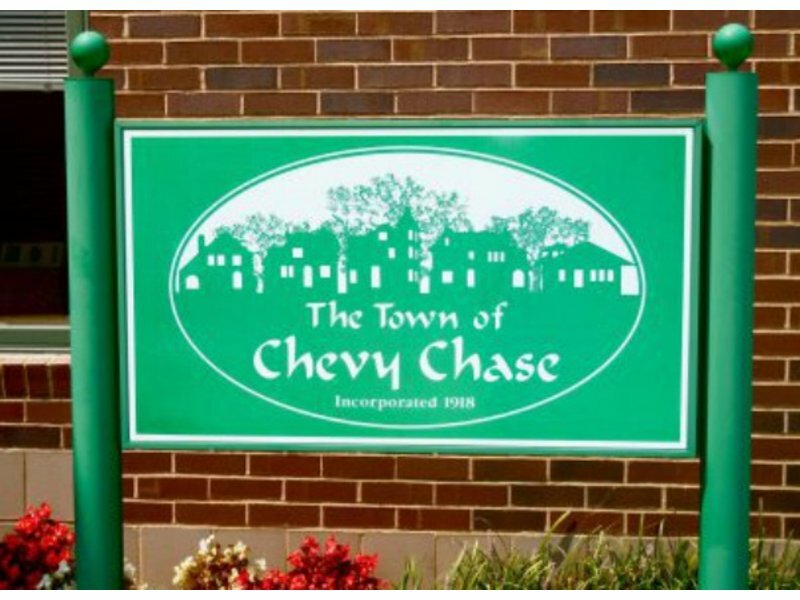 In the Town of Chevy Chase, the two councilmembers still refuse to answer questions. In contrast, the Martin’s Additions Council doesn’t face such questions, as they won the old-fashioned way. Glad to see that the spirit of democracy still lives in part of Chevy Chase. At Tuesday’s Election Board meeting, Town of Chevy Chase Councilmember John Bickerman once again refused to answer public questions about his involvement in the stealth write-in campaign. Some might consider it odd that he is unwilling to discuss his role publicly since he has proclaimed his commitment to transparency and defended the campaign vociferously. If it was an ethical legitimate campaign, why not be more forthcoming and own his actions? Why Did Bickerman Not Alert the Public? Now, more questions are being raised about whether Bickerman, along with new Mayor Al Lang, failed in their responsibilities to the Town because they did not notify residents of the inaccuracy of official Town election communications proclaiming that the election was uncontested. There was some confusion at Tuesday night’s meeting about responsibility for the Town Forecast election edition. In particular, as I understood him, Mr. Bickerman disclaimed any responsibility for the statement that the election was “uncontested,” stating that the Town Council is not involved in those communications. a notice of the election containing the name and a short biographical sketch of each candidate. The election board shall work with and under the guidance of the town council, submitting for its prior approval the form of printed ballot it intends to use and the form and text of all notices or other communications it intends to forward to the citizens. Mr. Bickerman’s statements, as I understood them, that the Council does not have any role in the election communications are clearly inconsistent with our municipal code. It is also clear that the official Town communication about an uncontested election became incorrect several days before the election and that at least one member of the Council – Mr. Bickerman – was aware that it was incorrect. Rather than correct the misleading statement, as far as I know Mr. Bickerman apparently chose to remain silent. It is fair to ask whether silence was consistent with Maryland law. At the meeting, I said that Maryland law imposes a duty on town governments to correct misleading statements relating to voting issues. According to the Maryland Court of Appeals, when a municipality is required to provide information about a matter subject to a popular vote, that information must not be misleading. In Blackwell v. City of Seat Pleasant, 93 Md. App 393, 617 A.2nd 1110 (Md. App. 1993), the court invalidated a town resolution because information published by the town misled voters into believing that there was no point in seeking to exercise their right to vote. It is entirely appropriate to ask whether our recent election could be invalidated on the same basis. Finally, Mr. Bickerman also disagreed that the Town (or, in this case Mr. Bickerman himself, since he appears to be the Town official who was first aware of the issue) had any obligation to notify Town voters once it became obvious that the published information was incorrect. According to Article 6 of the Maryland Declaration of Rights, Mr. Bickerman, as a Town council member with legislative and executive powers regarding the Town, is a Trustee of the Public, and, as such is accountable for his conduct. I sincerely hope that Mr. Bickerman is not suggesting that it is appropriate for a Town council member, either affirmatively or by omission, to mislead Town voters to whom they owe a duty of trust. According to a report on Twitter, former Town and County Councilmember Scott Fosler also spoke at Tuesday’s Election Board meeting, and stated that he believed that councilmembers were responsible for correcting the public record. Did Bickerman Have a Fiduciary Duty? (as a noun) a person holding the character of a trustee, or a character analogous to that of a trustee,in respect to the trust and confidence involved in it and the scrupulous good faith and candor which it requires. Thus, a person Is a fiduciary who is invested with rights and powers to be exercised for the benefit of another person. Svanoe v. Jurgens, 144 111.507, 33 N. E. 955; Stoll v. King, 8 How. Prac. (N. Y.) 299.As an adjective it means of the nature of a trust; having the characteristics of a trust; analogous to a trust; relating to or founded upon a trust or confidence. an intentional failure to tell the truth in a situation requiring disclosure. An example could be a seller’s failure to note a known defect on a real estate disclosure form. Bickerman is an attorney and a professional mediator who heads the two-person Bickerman Dispute Resolution firm and teaches dispute resolution at Cornell. Al Lang is the CEO of Coteva, Inc. Confusing to this reader as one moment he appears to say that elections should be up to the Election Board and that the Council should not be involved at all, and the next that the Election Board should not even make recommendations Even stranger as the Council requested directly that the Election Board make recommendations at its May 13 meeting. After past elections, the Election Board has routinely made a report and recommendations to the Town Council. Glib, yes. Consistent, not so much. Much to my dismay, at the close of the election on Tuesday, May 5, several supporters of the write-in candidate questioned our integrity and ability to provide a fair and accurate vote count, even though the responsibility for that count lay in the hands of the impartial League of Women Voters who had no ties to the Town. We were there to oversee them and certify the vote count which we did. After we certified the vote count, we realized that we could not certify the election immediately because of the discrepancy in the requirement of the State mandated financial disclosure statement. There is an inherent conflict between the requirements and limitations placed on a declared candidate and those of a write-in candidate in the Town’s election procedures. The procedure for the ability of Town residents to vote for a write-in candidate predates the requirement of the State mandated financial disclosure statement and no adjustment to the Town Charter had been made. Therefore, we requested the Ethics Commission to clarify the situation and be the final arbiter. In the interim, while the final decision was in the hands of the Ethics Commission, I did not appreciate calls and e-mails from Town residents urging immediate certification of the election, that we had exceeded our mandate, and that we were suppressing voters’ rights and trying to overturn an election. One present member of the Town Council also urged immediate certification and that we could be in violation of Federal Law (The Ku Klux Klan Act). It was not our intention to suppress anyone’s vote or to deny anyone of his First Amendment Right. We just needed clarification. I was further disheartened at the first Town Council meeting following the election where more talk was raised of the possibility of legal liability on the part of Town volunteers, hardly an incentive to make one want to volunteer. Despite Anthula Gross’ willingness to stay on the Board until it submitted its recommendations after the election, Mayor Lang accepted her resignation and moved to fill the vacancy. Replacement Involved in Election Dispute? Mayor Al Lang appointed Robert Charrow to fill the vacancy with the support of Councilmembers John Bickerman and Fred Cecere. Besides serving on the Council, Lang is also the CEO of Coteva, Inc. while Attorney John Bickerman is a professional mediator who heads the two-person Bickerman Dispute Resolution firm and teaches dispute resolution at Cornell. Fred Cecere is a retired physician. Some are wondering if Charrow gave advice to Ed Albert’s stealth write-in campaign that led to Cecere’s election and Bickerman’s reelection during or after the election. Charrow was quoted on the Town’s unofficial listserv as stating “It’s none of your business” in response to question on the matter–an answer that seems unlikely to quell suspicions. In short, there is now open speculation (at least on the Town listserv) that Lang with Bickerman and Cecere’s support has now appointed a lawyer who gave legal advice that helped result in our new Council and Mayor to the Town Election Board–an action described as reducing “confidence” in both institutions. Two incumbents, Pat Burda and John Bickerman, were on the ballot for the two open seats. No other candidates filed. Bickerman was reelected but Burda got defeated by a write-in candidate, Fred Cecere. A week ago, I had no intention of being a candidate for Chevy Chase Town Council. When I was approached by a neighbor and asked if I would accept a write-in vote, I felt honored, but skeptical. I was overwhelmed and humbled by the many people who voted for me Tuesday. Except that this email does not reveal the depth of secrecy around his stealth candidacy. His supporters actively worked to keep the large majority of people from knowing that he was running as a write-in candidate. An odd approach for someone who has claimed since the election to value “transparency”–one that was labelled a “coup” and a “conspiracy” by various residents. DO NOT vote for anyone else. We have worked very hard to keep this among the right group. Pls only give those names to those you feel 100% certain are like minded. If you check with me first. I will let you know if they are already covered. Please vote today for John Bickerman and write-in Fred Cecere. Together, we can TAKE BACK OUR TOWN!. Between 5-8 is ideal for the element of surprise, but anytime is better than no vote. Ed Albert was one of the prime organizers behind the effort. People like Albert and others who think like him apparently believe that only “the right” people should vote. Rather than run an open campaign based on the issues, they chose to run a secret, stealth campaign. Turnout is very low in municipal contests, especially uncontested ones. The organizers of this stealth candidacy took advantage to get their man elected. As you can imagine, this trickery hasn’t gone down well with all residents. Participation of John Bickerman and Al Lang? Two councilmembers seemingly have close links to this rather un-neighborly campaign. I am truly saddened by the turmoil and divisiveness that this election has brought to my Town. For the last 25 years, I have devoted my life to resolving conflict and helping parties avoid litigation. Since becoming a member of the Council, I have sought to find ways to find compromise and reduce conflict on the Council. Except that his actions were anything but transparent–even after the election was over. It’s nice that he wants to “heal some of the open wounds” but it seems insincere not to mention unethical when he helped create them in the first place and did not answer public questions about his participation. More cynical than healing. Councilmember Al Lang, not up for election, also appears to have been in on the game. Though he also refused to answer public questions on the town listserv about his participation, he handed in Fred Cecere’s financial disclosure form to the Chair of the Town Ethics Commission at the end of Election Day. Lang is tipped to become the Town’s mayor. He is also the CEO of Coteva, Inc.
Disenfranchisement means denied the right to vote. No one in Chevy Chase has been disenfranchised. Even if one goes beyond to include the idea of representation, Fred Cecere’s supporters already had two representatives on the Council. If they wanted to gain a third person on the Council, the democratic approach would be to nominate Fred Cecere–signatures from just five voters required. If Cecere’s supporters waited beyond the (very late) filing deadline, the same people who now vocally defend these tactics on the Town’s unofficial listserv could have argued for his write-in candidacy publicly. The real reason for the secret campaign, of course, was that its supporters likely feared that they couldn’t win an open contest if the “wrong” people were given a say. Al Lang nearly lost last year and held his seat by 10 votes against a young, new candidate. As Bickerman originally won election by a similar margin, he might well have lost an open election. There are many actions in this world that are legal but aren’t right. This unethical stealth campaign is a perfect example. It wasn’t respectful of their neighbors and fellow voters. In a normal democratic election, people know who the candidates are and make a choice–even if that choice is not to vote. If anyone has a right to feel disenfranchised it’s the people who were treated badly by not being deemed the “right” sort. Cecere supporters chide people appalled by their tactics for not voting but kept their actions very secret in order to gull people who think differently from them into not voting. Nevertheless, their actions in doing so may have been legal. Even though Maryland law requires write-ins to file for election for good reason, Chevy Chase does not. But it wasn’t ethical. It is yet another symptom of the decline of civility in our politics. If you feel disrespected by the current people in power, campaign openly for change. The central legal issue was not the organization of the secret campaign but the failure to turn in financial disclosure forms by the required deadline. While some argued that the statute was vague or clearly did not apply to write-in candidates, others pointed out that all candidates were required to turn them in. Moreover, courts are loathe to overturn elections and rarely do it. The one point where the plot itself becomes evidence is that the secrecy could well be deemed an effort to evade the State’s ethics laws (i.e. the financial disclosure requirement). Moreover, the secrecy would help overcome the usual burden in election law cases that one should have filed an action in court before the election if at all possible. In the end, the Town Election Commission refused to certify the election until the question was examined by the Town Ethics Commission. 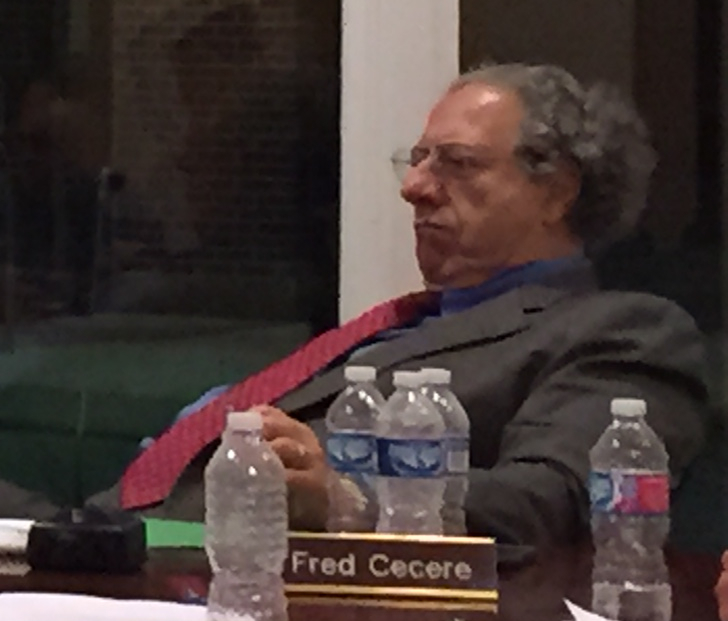 The Ethics Commission broke down 2-1 in favor of seating Fred Cecere. From the account available on twitter, all three commissioners did their best to grapple seriously with the legal questions and gave valid reasons for their vote even if they disagreed as to the final outcome. The winners may have gained a seat on the Council but they lost the legitimacy that comes with winning an open campaign. 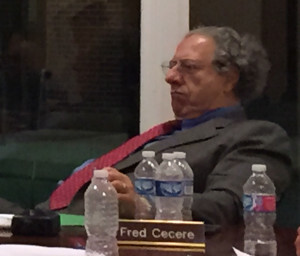 As Fred Cecere did not campaign on any issue positions, he can hardly claim a mandate from the Town for his agenda. As a political science professor and former mayor of the Town, I know politics often isn’t fair. There is also a fair amount of rough and tumble, even if one might expect better in a small town that is really a neighborhood where people often know candidates and see their councilmembers regularly. But this also isn’t how I teach my students about how democratic elections should be–or a model for our kids more generally.